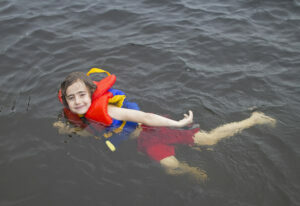 Every lake home owner should know about swimming safety. As long as you remember these swimming safety tips ,the lake is your best resource for staying cool and relaxing on hot day. Before swimming in a lake, be sure to find out the depth and terrain of the area you in which you will be swimming so you can prepare accordingly. Some bodies of water my be three feet deep then drop sharply to 20 feet in depth. Be sure to have enough coast guard- approved life vest for everyone who may need assistance to safely swim. Additionally, when choosing a a life jacket, consider the other water activities you may participate in while wearing it to make sure its the right one for you. The Personal Flotation Device Manufacturers Association has a full listing and description of approved personal flotation devices (PFD). Additionally, when choosing a a life jacket, consider the other water activities you may participate in while wearing it to make sure its the right one for you. Aside from floating in water, one must also be prepared for walking around in the shallow areas. To avoid stepping on unseen items, such as a rock or glass, it is wise to wear swim shoes in the lake. 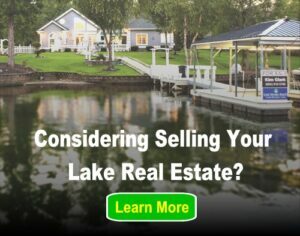 Everyone who lives by the lake should learn how to swim properly. Finding a trained professional for age appropriate swim lessons is crucial to swimming safety. Enrolling your child in a swim course also allows them to interact with other lake-loving children around their age! But, if classes don’t seem like the best fit, you can always teach them yourself. Swimming is a sport that is best enjoyed with a friend. Even the most skilled swimmers can run into unexpected difficulties, such as cramps or sudden fatigue, when swimming in lakes. As a general guideline, children under 12 should never be around the water alone. Also, be sure to have a sober adult watching children at all times. Make sure to set specific swimming safety rules around your lake home that apply to all family members and guest. It is a good idea to write these rules out and post them where they can be seen easily. Teach everyone your rules, and be sure they understand breaking the rules violates their personal safety. To get started, check out The America Red Cross’ detailed listing of useful tips and rules for safely swimming in lakes during the summer.